March 2, 2014 In the aftermath of the Arab Spring, the conventional wisdom that what is taking place in Egypt has far-reaching echoes across the region is proving to be true. Jordan is no exception. After the Egyptian army’s removal of Mohammed Morsi from office, and the subsequent clampdown on the Muslim Brotherhood there, the increasingly strained relationship between the Jordanian government and Jordan’s Muslim Brotherhood has entered a new phase, predominantly characterised by criticism, anxiety and mutual distrust. Emboldened by events in Egypt, the Jordanian government has recently arrested and put on trial many active members of the Muslim Brotherhood, and stepped up its antagonistic rhetoric and policies against the organisation and its prominent figures. Pro-government columnists, especially in the government-controlled Al Rai newspaper, for example, have accused the group of being anti-democratic, opportunistic and seeking to impose strict religious rules. Analysts also pointed out that the group’s leaders are loyal to an international organisation that has an external agenda completely opposite to the Jordanian public’s interests. For its part, the Muslim Brotherhood continued its three-year policy of criticising the Jordanian government, and it led the opposition movement, a coalition of tribal and secular and Islamic forces. The last three years of rocky developments have left its devastating toll on relations between the two parties. These relationships were transformed from being relatively peaceful and sometimes based on partnership as they had been in the 1950s and into troubled and increasingly critically sensitive ones. In September 2013, the GMBDW reported in that the King of Jordan had said that the political arm of the Jordanian Muslim Brotherhood is part of the political life of his country. 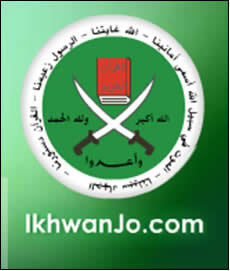 In August 2013, the GMBDW reported that that the Jordanian Muslim Brotherhood was boycotting municipal elections.